Oregon is facing an issue that a lot of people never though would rise in our time. They have too much cannabis. There is currently over a million pounds of unsold Oregon cannabis sitting idle. Just for fun, that million pounds breaks into over 120 million eighths, or over double the amount of Oregon cannabis consumed in 2017. With the overflow of product and lack of demand, prices are noticeably dropping. The average cost of a gram in Oregon has dropped to just $4, compared to another legal state such as Colorado, where the cheapest gram averages around $10. While Colorado has been experimenting with legal cannabis since commercial sales starting in 2014, legal Oregon cannabis is still new, only taking effect in 2015. While it was slow to pick up at first with just 99 licensed recreational dispensaries at the end of 2016, new regulations propelled the industry through 2017, seeing that number rise to over 260. With so many stores opening so fast, competition is fierce. Breeders and retail stores have to compete with dozens of other businesses in their area, and it has quickly become a race to the bottom. While more people try to get involved in the Oregon cannabis industry, those already with their hands in the pie are beginning to wonder if they should take them out. Coupled with the inevitability of big business coming into the industry with investor backing, those already involved either have to beat out the competition to stay in business, or bail. 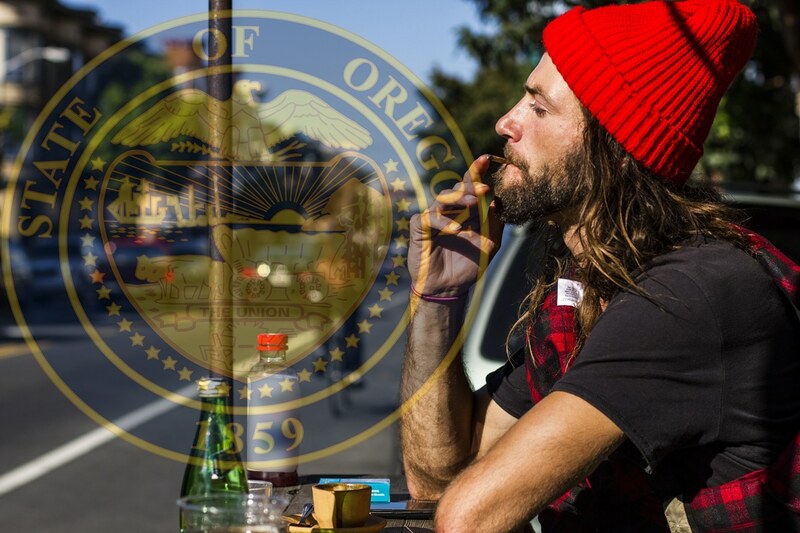 It’s too soon to say what might happen with the Oregon cannabis industry. After all, it’s young, and Colorado went through a similar stage in its legalization infancy in which the bad business models were quickly filtered out. While for the consumer it might seem like a great time to move to Oregon for super-cheap cannabis, there’s no way to know how long the low prices will last, and if the quality will still be maintained with the inflation. For now, we can just watch and see who the top Oregon cannabis producers are as they compete to stay alive. Hear first hand what one of the top breeders in Oregon is facing on The Real Dirt Podcast. Fletcher Watson works at Archive Seed Bank and Archive Portland, and he shares his experience in the Oregon cannabis industry.